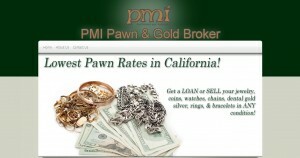 PMI Pawn & Gold Brokers address, phone, website, and more. At PMI Pawn & Gold Brokers, we specialize in purchasing gold. We also provide general services for all types of merchandise. We have been providing reliable services to clients for over 30 years. We are conveniently nestled in San Jose to better assist you. When you step into our shop, you will always receive the special treatment that you deserve. We respect each clients privacy and personal situations. We will buy your gold in pretty much any condition, and we will pay top dollar for it. Our sales associates are very experienced and we will always give you the respect that you deserve.